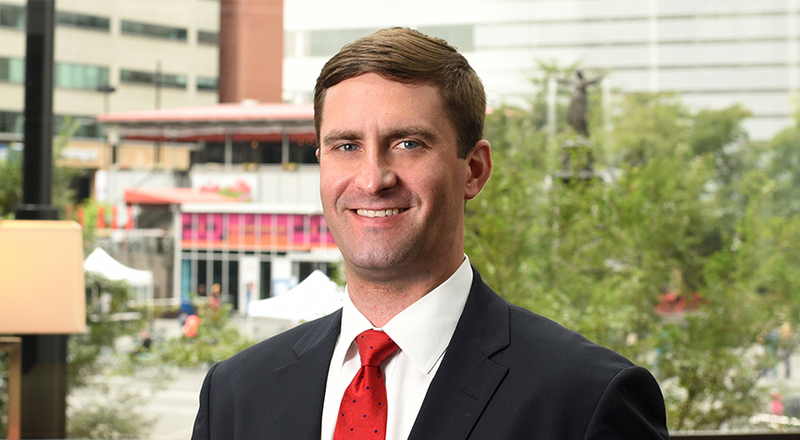 Alex focuses his practice on litigation in both state and federal courts throughout the U.S. He represents individuals and businesses in all aspects of the litigation process as well as in arbitration and mediations. Alex’s practice includes litigating commercial disputes, counseling and representing clients in antitrust matters, litigating product liability cases, defending against claims of unfair or deceptive acts or practices under federal and state law, and litigating personal injury matters. Alex’s experience also includes class action litigation, defending a former railroad as national counsel against claims of occupational exposure to asbestos and other substances, defending lenders and financial institutions in consumer finance litigation matters brought under federal and state UDAP laws, and litigated real estate title disputes. Alex is licensed to practice in the State of Ohio, the Commonwealths of Kentucky and Virginia, and in multiple United States District Courts. Alex is a member of the Cincinnati, Ohio, and Federal Bar Associations, as well as the Antitrust Section of the American Bar Association. In 2017, Alex participated in the Cincinnati Academy of Leadership for Lawyers (CALL) as a member of Class XXI. CALL focuses on practical, professional and ethical issues facing local attorneys. Alex received a J.D. from Campbell University, Norman Adrian Wiggins School of Law, and a B.A. in Philosophy and American Government from the University of Virginia. During law school, he served as a judicial extern to the Honorable Sanford L. Steelman, Jr., North Carolina Court of Appeals, and was the Business Editor of the Campbell Law Review. Alex E. Wallin, John Finnis’s Natural Law Theory and a Critique of the Incommensurable Nature of Basic Goods, 35 Campbell L. Rev. 59 (2012).